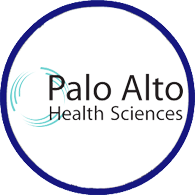 Palo Alto Health Sciences is a privately held Kirkland WA-based digital therapeutics company founded in 2013. The flagship product, Freespira, is an FDA-cleared, evidence-based treatment indicated for patients diagnosed with panic attacks, panic disorder and PTSD. Freespira corrects the abnormal respiratory patterns associated with these conditions by training the patient to normalize their breathing rate and exhaled CO2 levels. Freespira is medication-free, takes only one month to complete, and is used at home. Results are long lasting, and treatment is authorized by a licensed healthcare provider and can be delivered by a behavioral health clinician or a Freespira coach. Meuret, A. E., Wilhelm F. H., Ritz, T., & Roth, W. T. Feedback of end-tidal pCO2 as a therapeutic approach for panic disorder. J Psychiatr Res. Jun;42(7):560-8. Epub 2007 Aug 3. doi:10.1016/j.jpsychires.2007.06.005. Davies CD, McGrath PB, Hale LR, Weiner DN, Tolin DF. Mediators of Change in Capnometry Guided Respiratory Intervention for Panic Disorder. Appl Psychophysiol Biofeedback. 2018 Dec 11. doi: 10.1007/s10484-018-9424-2. Tolin DF, McGrath PB, Hale LR, Weiner DN, Gueorguieva R. A Multisite Benchmarking Trial of Capnometry Guided Respiratory Intervention for Panic Disorder in Naturalistic Treatment Settings. Appl Psychophysiol Biofeedback. 2017 Mar;42(1):51-58. doi: 10.1007/s10484-017-9354-4.